Presto Restoration Products & Services specialize in commercial exterior building restoration services for glass, metal and stone surfaces in Syracuse, New York. 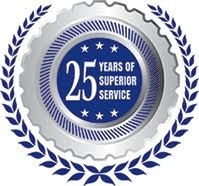 Our specialized restoration services are performed using unique products and service techniques which are not generally found in our industry. This allows us to perform commercial exterior restoration services which are unparalleled in our industry, often resulting in saving materials which would otherwise have to be replaced in order to present an acceptable appearance. Our services for Alucabond restoration, Reynobond restoration, and other metal and aluminum composite materials in Syracuse are often called for after building owners and managers are unable to find a contractor who can produce acceptable results for the material. Presto Restoration has over a decade of experience restoring and protecting exterior architectural surfaces. Our products and services produce exceptional results as innovative industry leaders. In Syracuse, New York our glass and window frame restoration services are performed using our own line of proprietary products and processes that produce flawless finishes on the exterior surfaces. In addition, we offer sustainable protective treatments which protect these building surfaces from staining in the future.